Carpet beetles are tiny pests that are capable of damaging your carpets, upholstery, clothing, etc. They basically feed off from organic materials such as animal and human hair, plants and pretty much any animal-based material such as wool, fur, leather, and silk. There are three common types of carpet beetles; black carpet beetles, furniture carpet beetles, and varied carpet beetles. Of the three, the black carpet beetles are the most common and the most destructive. It is when the carpet beetle is in larvae stage that the most damage is done to your carpet, clothes, and upholstery. This is because the carpet beetle larva likes to feed in dark, quiet places which makes it difficult for you to identify on time. A major sign that you have a carpet beetle infestation in your home is when you notice your carpet is looking worn and threadbare. However, that part of your carpet receives very little traffic. Other signs of infestation would be abnormally tattered car seats and your clothes having large holes big enough to fit a whole fist through. Look under your carpets and edges of your carpet for signs of carpet beetles. Check your upholstery especially around the fold areas. Check all your natural fibers especially those stored in the attic. Check under your car mats and under your car seats. If you are using a natural remedy, ensure you test a small part of the carpet, upholstery or fabric first to ensure there is no staining. Keep your off-season clothes in plastic bags to protect them from carpet beetles. Let in sunlight into your rooms, closet, and cabinets a couple of hours a day as carpet beetles like dark murky corners and cupboards. Regular cleaning and vacuuming should be done on carpets and upholstery. Regular cleaning of curtains and draperies as carpet beetles like to hide at the base of curtains and draperies. One of the best home remedies to get rid of carpet beetles is to clean the apparels that are infested by them. Wash them with hot water to kill them instantly. Use a mild detergent along with water as it will help in choking the insect and eliminate them from your clothes. Steam cleaning is another great way to remove them from your clothes and apparel. If they do not go, consider dry cleaning as the solvents used in dry cleaning is toxic to the insects. Use rubbing alcohol to spray in the areas of infestation to repel the carpet beetles. They dislike the smell of alcohol and will not move to places sprayed with it. It will also not lay its eggs in these places. Make sure you spray enough of rubbing alcohol on bedding, upholstery as well as furniture. Cedar oil can be used as an insect repellent if you have carpet beetles at home. The vapors coming out of the oil kills the insects by emulsifying their body’s fat. The larva gets easily destroyed with cedar oil while the mature ones die out of osmotic dehydration when they come in contact with the oil. Just apply enough oil in the affected areas and over other places that are prone to infestation such as rugs, carpets, furniture and other fabrics. Spraying the infested areas with apple cider vinegar is a sure shot home remedy that helps in eliminating them completely from your home. They are highly toxic to the carpet beetles while being completely safe for humans. So, if you have small kids or pets at home, you can use apple cider vinegar as a safe and effective insecticide without worrying about its effect on kids and pets. Like most insects, carpet beetles cannot stand high temperatures. Therefore, steam vacuuming the affected areas may help in instantly killing them while cleaning away their eggs and larva. All you have to do is just switch on your vacuum and give your carpets, upholstery and other infected fabric a steam cleaning for three consecutive days. It will ensure no larva is left and your house will be completely free from it. Carpet beetles enter your homes through doors and windows. Keeping them closed is an easy way to prevent their entry. Make sure you seal any gaps that may help them intrude your house. If closing the doors and windows is not possible in your area, invest in a mesh or screen that allows air to pass but keeps bugs and insects out of the house. Carpet beetles and other insects thrive on organic materials such as leather, fur, wool, and feathers. Having items made of these may invite them to flourish in your house causing a great nuisance. Replace these organic fabrics with synthetic ones to prevent carpet beetles in your home. 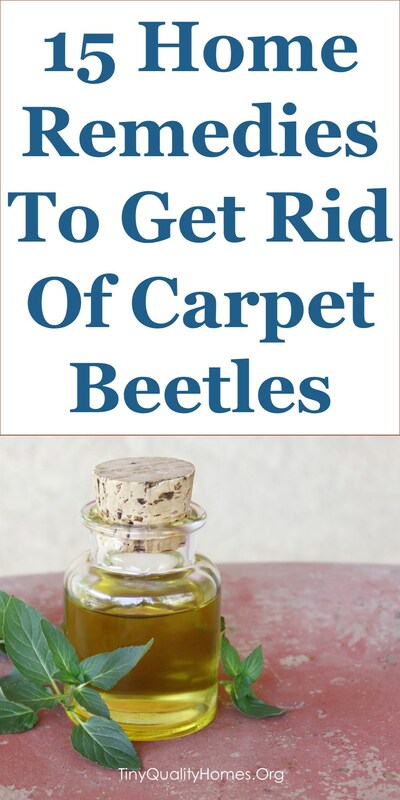 Neem oil is an effective remedy for carpet beetles. Applying the oil in the places of infestation gradually kills all the beetles. Thus, making your fabrics bug-free. It can also be applied to prevent carpet beetles from thriving in your home. Neem contains a compound, azadirachtin, that is known to cause hormonal imbalance in the insects. Boric acid (or borax) is readily available in a pharmacy and can be used to get rid of the carpet beetles in a natural way. It works as effectively as any chemical insecticides but is non-toxic to humans. Boric acid is extensively used as an antiseptic and is often found in eye medications. All you have to do is just dust the white powder in your beddings, upholstery and infested fabric to ward off the insects. Don’t leave the powder on dark fabrics for more than two hours as boric acid has a bleaching effect. Clove oil has a strong scent that deters insects. It is often used to ward off carpet beetles from your fabrics. 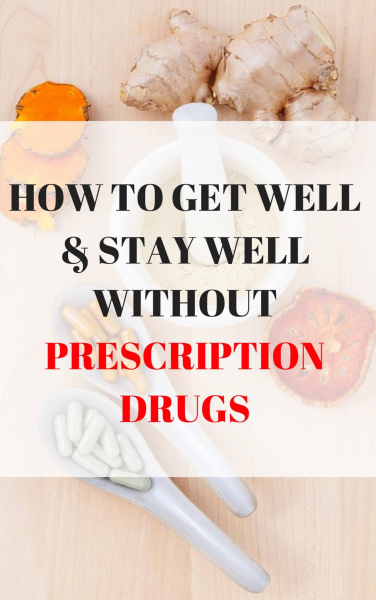 Just spread a few drops of it directly over the affected area or dilute it with pure alcohol to make a spray solution. Keep spraying regularly to irritate the insect and get rid of them. Freezing is another great way to kill the carpet beetles. If the infested fabric is small enough to be placed in your freezer, just put them in a plastic bag and put it in your deep freezer. Let it stay there for at least 48 hours so that all the mature beetles, as well as larvae and eggs, are destroyed. This is a great remedy if you want to escape the harsh solvents used in dry cleaning or want to reduce any damage due to hot water washing. Eucalyptus oil has a strong odor that deters insects and pests. If it is available you can use it to keep carpet beetles away from your home. It is safe for humans to apply on bedding, clothes, and upholstery. Just make a solution with water and a few drops of this aromatic oil and spray it over the affected areas and other places that are prone to infestation. It will add freshness to your home while repelling the insects. The white powder has excellent insecticidal properties and is dangerous for carpet beetles. Made of fossilized aquatic animals, diatomaceous earth is harmless to humans but can dehydrate the insect’s body. Thus, killing them. Just spread or sprinkle it liberally on the affected surfaces to get rid of carpet beetles. The strong minty odor irritates the insects and can be used to keep them away. Just mix a few drops of peppermint oil in water and spray it over the infestation. It will freshen up the indoor air quality while making it difficult for the beetles to live. Regular cleaning is important to keep your home free from insects like carpet beetles. Cleaning becomes more important once you see an infestation. Regular vacuuming of the curtains, upholstery, and carpets helps in preventing insects from thriving in them. Go for a deep cleaning once in a while to keep your fabrics free from impurities and insect infestations.